One of the biggest storylines flying under the radar as the NBA postseason gets going is the health of Philadelphia 76ers big man Joel Embiid. The All-star center missed the final two games of the regular season with a knee injury. Not much has been released as it relates to the extent of the injury. Speaking to reporters on the eve of Philadelphia’s Game 1 outing against the Brooklyn Nets, Embiid couldn’t commit to playing Saturday. 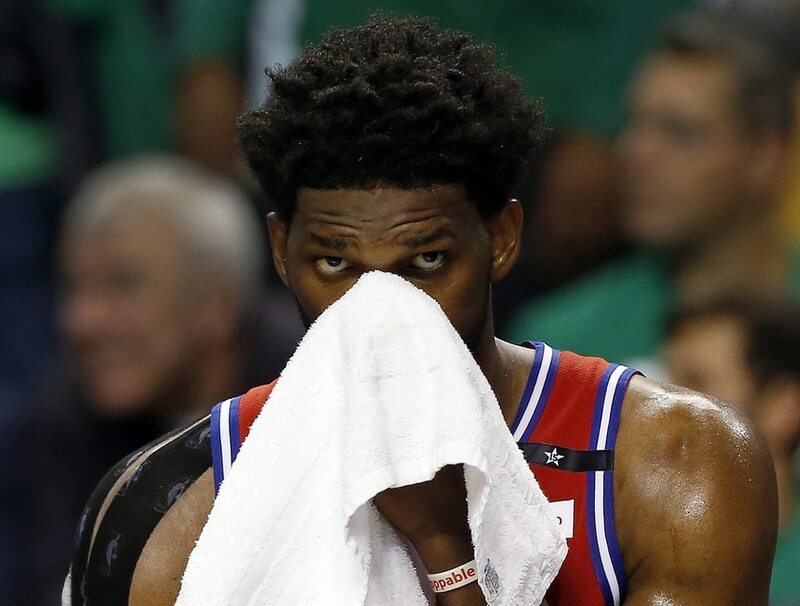 Joel Embiid still does not know if he’ll play Game 1 versus the Nets tomorrow. He says it depends on the pain in his knee. When asked how the pain felt today he said “I don’t know.” He will participate partially in practice today. This certainly is something worth monitoring. Embiid, 25, put up an historical regular season. The game’s best big man averaged 27.5 points and 13.6 rebounds per outing. Philadelphia was 28-11 in the past 39 games that Embiid suited up in during the regular season. The team lost 10 of 17 with Embiid sidelined during that span.